Sterling Silver is perfect for Wedding Rings! With gold and platinum prices at outrageous levels, sterling silver is becoming popular for those who want white, precious-metal wedding rings. 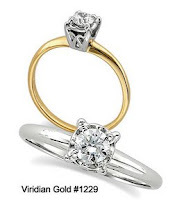 Here at Viridian, we have watched the costs of our jewelry items double in the last few years because of huge gold and platinum price increases. Yes, you read that correctly! A gold ring that cost $150 a few years ago is now priced at $300. So, it is no wonder that couples are turning to sterling silver for high-quality wedding rings which will endure forever! A popular seller is our "Joined by Christ" Wedding Ring, pictured at left, which is a fraction of the cost of the white gold version, yet just as beautiful! 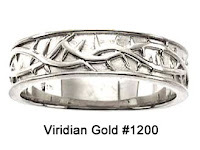 Sterling silver is 92.5% silver, mixed with a small amount of other metals for strength, hence the marking "925" that you will find on some silver jewelry. It may also be marked "STER". But, doesn't silver tarnish? Yes, it does, but for most people, a silver ring will not severely tarnish if it is worn continuously, because the natural friction on your finger, handwashing, and body oils will keep the silver from tarnishing. In fact, silver will develop it's natural "patina", which refers to the glow of the aged silver surface which softens in appearance over time due to tiny surface abrasions and oxidation. Recessed areas of the ring will also develop an oxidation layer, or slight tarnish, which serves to highlight the design of the ring. Sometimes the ring may develop a layer of tarnish if the wearer swims in a highly-chlorinated pool, or allows the ring to be exposed to some other caustic chemicals, but this tarnish can be easily removed by rubbing between the fingers with non-gel toothpaste! 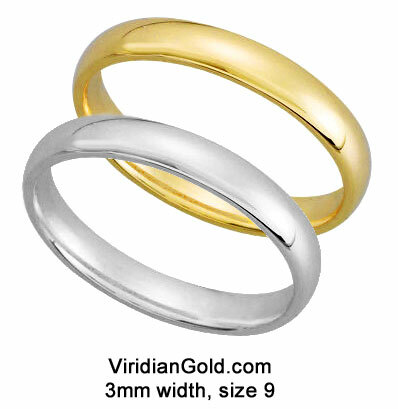 At Viridian Gold, we offer a number of 925 silver rings that are identical in design and construction quality to our gold rings. For example, our "Crown of Thorns" Wedding Ring, pictured at right, is available in 925 silver, as well as 14k gold. And even more attractive is the fact that raw silver prices recently dropped about 30%, which has allowed us to actually reduce our prices for all of our silver items! See more rings in our collections of Sterling Silver Fashion and Designer Rings, and our ever popular Sterling Silver Religious and Rosary Rings.